Tuffy says: Fritzi Roan is For Sale. This great mare has at least 6 crosses to JOE HANCOCK. I have not figured out her percentage yet but she will be right up there! 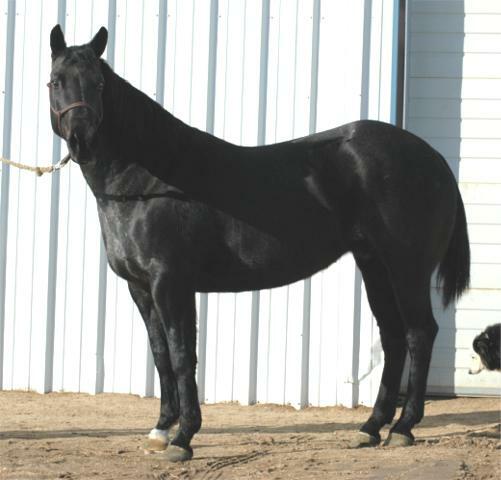 This is a nice solid built mare that will produce larger sized horses that some of our clients have been requesting. Black headed blue roan with all the right stuff! We have kept her colt Roan Hayes to use as a breeding stallion.